For months, I’ve been wanting to make this dessert. First, for Christmas, I got The Magnolia Bakery Cookbook, which includes the recipe. Then, I was even more sold on it when Deb made it. So, what took me so long? Finding those chocolate wafer cookies. Seriously, those are not easy to find. They do sell them at Amazon, but I didn’t have great faith that they would arrive intact, not to mention the fact that you’re buying a whole case of them. Nevertheless, I didn’t give up hope. I searched every grocery store to no avail, until finally I found them at a grocery store in a nearby town. So, for my Memorial Day dessert contribution, I got out my cookbook and relished finally being able to make this cake. Now, I’m the first to admit that this is one of the easiest things that I’ve ever made. Seriously, there are four ingredients. However, everyone’s enjoyment of eating it was inversely proportional to the effort put into it. Unanimously, everyone loved it. I opted to add some chocolate shavings to the top layer, more for aesthetics than anything. I debated adding some toasted, chopped hazelnuts, but didn’t in deference to my brother-in-law who doesn’t like nuts. With a dessert this simple, you can do all kinds of things to make it your own. I highly recommend this cake, especially for these impending summer months. It’s not too heavy, yet it’s so rich and delicious. I do think it would be interesting to experiment a bit with some flavors. A little bit of Kahlua or Frangelico in the whipped cream mixture might just make it even better. With or without augmentation, don’t be surprised if it’s so big of a hit that you’ll end up making it again and again. A side note: I’m sure I’m not the only one with limited access to chocolate wafer cookies. Making your own is certainly an option. I might suggest these that I made a while back. I’ve not tried it with those, but it’s probably worth a shot. 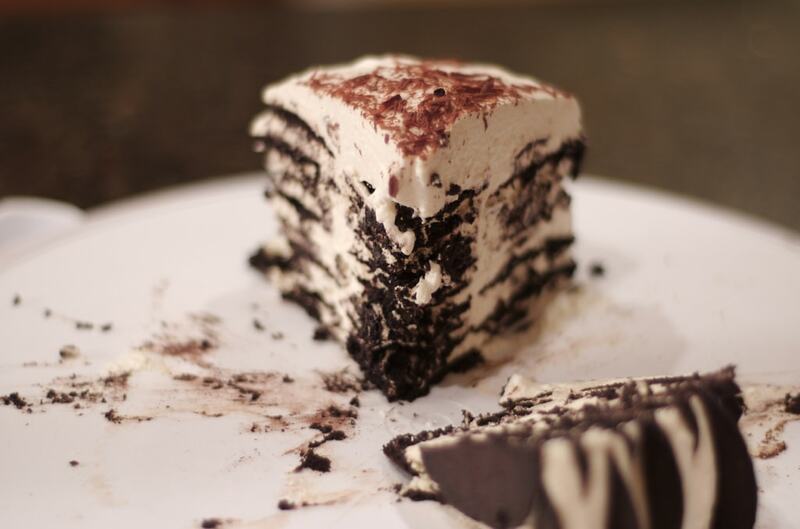 Chocolate Wafer Icebox Cake is a delicious and simple no-bake dessert. It’s always a crowd-pleaser! Combine the cream, sugar, and vanilla in a large bowl. Whip until soft peaks form. Do not overmix. Place a cookie in the center of a plate that is at least 9 inches in diameter. Arrange 6 cookies around the center one, forming a circle. Spread about 3/4 cup of the cream mixture onto the cookies. Repeat layers, ending with the whipped cream. Garnish if desired with chocolate shavings, nuts, cocoa, etc. Refrigerate at least 5 hours or overnight. Recipe slightly adapted from The Magnolia Bakery Cookbook. I could just jump right in. It looks delicious! Ivonne, make some room for me too LOL! That does look gorgeous. Oh my!! This looks amazing, you are convincing me by the second that this should be next on my list of things to make. Looks like it is quite a bit of work, but definitely worth it in the end. That’s the recipe from the back of the wafer cookies box just laid out differently. It is delicious! I always had trouble finding those darn chocolate wafers, too, then one day when I was buying caramel ice cream topping, they were right there…along with the ice cream toppings, sprinkles and cones. Go figure!!! And they were there all along. I would never have thought to look there. I made this exact recipe a few years ago, and it’s very tasty. And simple to make, too. Hmmm…maybe it’s time to make it again. That looks so delicious! One question — how do you go about slicing/serving it? Thanks for the compliments, y’all! Mo, believe it or not, you just slice it up like a regular cake. It gets very firm in the refrigerator, so that makes it a bit simpler. 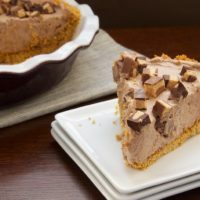 Have you tried substituting chocolate graham crackers or oreos with filling removed when a recipe calls for crust made with chocolate wafers? If so, I’m just wondering your opinion of the substitution. 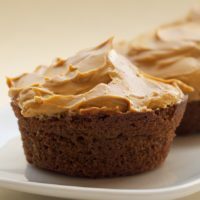 Margaret, I haven’t tried either of those, but my mother-in-law says she has used chocolate graham crackers in this recipe with much success. 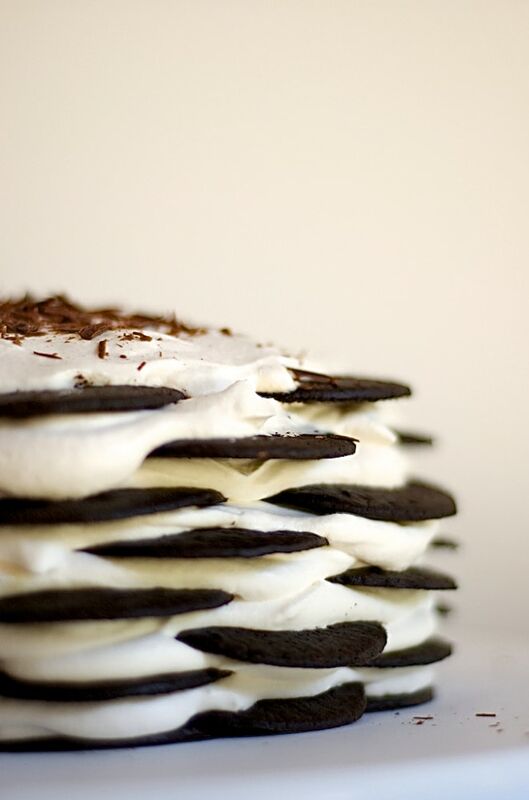 For other recipes, I have used Oreos instead of chocolate wafers for a crust and that worked fine. Just wanted to check back in and say, thank you again for this recipe! I took your suggestion and used about 2 Tbl of Frangelico instead of the vanilla. The whipped cream had just a faint essence of the Frangelico. It was delightful. And the whole thing firmed up just as you said. Amazing! The Washington Post just printed a similar recipe, with the suggestion to use vanilla and raspberry liqueur in the whipped cream, and to slightly blend/smash in ripe raspberries once the cream has already whipped up. Might be good to try! Thanks again! This is one of those recipes that I have been wanting to make for so long. Looks delicious! I am really happy you decided to make this~it is beautiful! I hope to make it soon…. wow! this looks amazing and decadent to try. thanks for including the link to the wafers too!! Hi there Jennifer, the cake looks absolutely scrumptious! I’m most certainly going to try it soon. I have a question though. I’m a huge fan of cream cheese. I was wondering if it’s alright to use that instead of heavy cream? Hmmm, Nadia. I don’t know if that would work or not. I think for this to turn out well you need just the right consistency, like what you get with the heavy cream. If you try it, let me know how it works. Thanks, everyone, for the comments and compliments! I couldn’t find chocolate wafers either, so I made this using Pepperidge Farm Brussels cookies (very thin cookies with an even thinner chocolate layer in between). Yum, yum, yum! Do you have problems when you spread the first layer of cream mixture over the firt layer of cookies? Meaning the cookie wafers stick to the other side of the spatula? Kelly, it was actually surprisingly easy. The filling is very light, and I was able just to dollop it on and spread it around with relative ease. Let me know how it works for you. loved it! thanks so much for the recipe. next time i won’t “press” so much btwn the layers. my lower layers spread a bit too much and i missed the wafter parts in my slice. 🙂 next time maybe i’ll do every other layer brussels and the other layers the choco wafers! What city are you all in, because I live in LA and haven’t found the wafers yet. Nic, I’m in the mid-South. I find the wafers here and there. Fresh Market usually has them, and some of our Kroger stores, too. Our Pastor talked of this kind of cake this morning and how he had it as a child every year for his dads birthday. He stated it was not only a treat for his dad but for him and the others also. My girlfriend got me an ice box cake (from Billy’s Bakery in NYC) for my birthday (which was recently). I was in heaven, I’d never had something so good and had nothing to compare it to. Of course, I decided to tackle making one myself.. 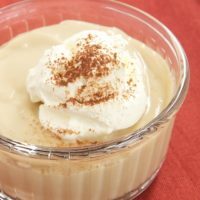 I can’t get over how easy it is to make, not to mention how decadent it is! Just read your post while looking around at icebox cakes. I wanted to chime in that I can’t find the wafer cookies either, so I make the ones Deb posted on smitten kitchen. They’re really simple to make and they slice up great and freeze wonderfully for future treats. They also make great ice cream sandwiches! 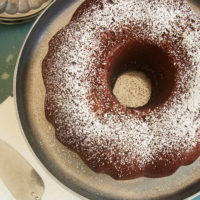 I’m so glad you posted this, even if it was a while ago – my mom used to make this cake and I started thinking about it last night when eating some thin ginger cookies, and learned that my husband has never eaten or heard of any such creation (I also found that it sounds very strange when you try to describe it). We used to find those wafers easily where I grew up in North Carolina, but checked at my grocery store today in California and no luck. I’m pondering the idea of making one with the ginger crisps and cinnamon whipped cream – do you think it would work? Amanda, I think that would work if the ginger crisps weren’t too thick. Let me know how it works! My Italian Mother-in-law always made this in a loaf pan. Her big family loved it and she usually just automatically made two loaf pans. No wonder she was a little bitty thing cooking for those big guys all the time, there were seldom left overs. I think I will surprise my husband and treat him to one. Jenn, I just saw this and in a leap of faith I have ordered the chocolate wafers from amazon.com. They now have an option to just buy 4 packages, to that’s roughly 2 desserts. I will let you know how they come through the shipping process, although now in NYC, I would figure your shopping options are more diverse. Hi, not sure why it was hard to find chocolate wafers…they are made by Nabisco & any store (around here) that sells Nabisco has them on their shelves. I learned to make this recipe from my late husband—and it’s a lot easier! 1 box of Nabisco Nilla Wafers, I pkg of Nabisco Chocolate Wafers, 1 large container of CoolWhip, and almond flavoring (to taste). Let CoolWhip thaw. Then add almond flavoring to CoolWhip but do NOT overstir. 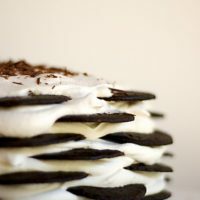 Alternate layers of cookies and CoolWhip in a casserole or baking dish. Let sit in refrigerator at least one day before serving so cookies soften and it slices nice like a cake. When CoolWhip is thawing so not stir to speed up process or you’ll end up with liquid CoolWhip between your cookies. Stir CoolWhip as little as possible when mixing in almond flavoring; stirring breaks down the CoolWhip. If it becomes runny it will not set. It’ll still taste good but you’ll have to spoon it out of the dish. Enjoy!! I have been making this for 35 plus years. 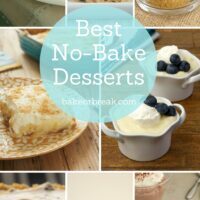 This was one of the first desserts I learned to make. I have taught my kids how to make this. It is always a hit and simply easy to make. Hint to finding the wafers, most grocery stores do carry them, but not in the cookie aisle, I have never found them in the cookie aisle. They have always been with the sundae items, right along with hot fudge, sprinkles, ice cream cones, etc. Hi , just found this recipe by googling the ingredients I remembered as a child . My mom made this for special occasions . She made it standing the wafers up , making two rolls side by side , then covered in whipped cream , when you sliced at an angle it made black and white stripes. The cookies , I found them by accident and brought back memories so decided to make it . Thanks for posting exact ingredients . I’m glad you found the recipe! Enjoy!